After an initial boom-and-bust, Jim Ridley took the harder, steeper path to rebuilding–and became the successful business owner he always wanted to be. That’s what two former clients told Jim Ridley, owner of CrossFit Armidale. He had just returned from a relaxing weekend with his family. Four years earlier, Jim’s fitness business and his life were very different. On one particularly difficult night, Jim (getting a little paunchy) woke up at 3 a.m., worried about $15k in debt and whether he could pay a bill coming due. He switched on the television and The Love Boat theme started to play. “It’s a terrible show,” Jim says. But he calls the year that followed “The Love Boat year” because he spent the year awake at night, worrying about business, bills, and debt (and watching too much late night TV). Things got so bad, Jim was ready to quit the business and try something else. 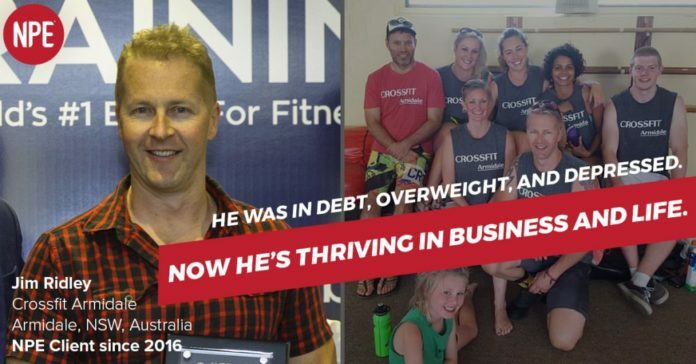 This is how he turned his health and business around (lost 40 kilos and went $140k to $220k a year) –and used his experience to build a more stable business this time. Jim stopped skipping his own workouts to set the right example for clients and staff. Jim Ridley had worked for years as a road warrior sales rep, selling animal pharmaceuticals to rural stores. Staying in motels, drinking with clients, eating road food, and not enough exercise was his regular routine. Overweight and depressed, Jim hit the gym. Returning to shape improved his health and life and triggered a passion for fitness. Before he knew it, Jim had dropped 30 kilos and was a personal trainer who loved helping his clients. But he wasn’t making much money. One day, he was thumbing through a fitness magazine and saw a picture of the whole fitness business dream–a studio owner with a family in front of a nice house and new car. Is this possible? He ripped the ad out. The next year, using NPE’s tools, systems and resources, Jim’s business took off–from $18k to $165k. As Jim tells it, he rested on his laurels, tried to take himself out of the business too soon, and over-spent on equipment and expansion. His business started losing money. He found himself getting depressed, and skipping his own workouts. The kilos began to climb back on. By 2014, he was not only in trouble financially, he was tired and not sure what happened. His numbers were sliding, from $165k to $140k, and his debt jumped from about $3k during the flush times to more than $15k. That triggered hard questions: Tough it out or go back to the drawing board? Go get another job or go harder at his business? Jim returned to #MEGATRAINING in 2014, prepared to quit NPE in person. He figured he’d save the monthly fee, and spend the money on more equipment. But after a conversation with NPE CEO Sean Greeley and the NPE team, he decided to stay on with a different coach and try a different plan. So the first goal was to stop worrying about what the university kids were and weren’t doing on weekends, or criticizing their fitness choices, and admitted that he was simply going after the wrong target market. That created a new direction and a new business blueprint. He realized there were plenty of “ideal clients” in town, and they were willing to prioritize a chunk of their paycheck to become a healthier version of themselves. 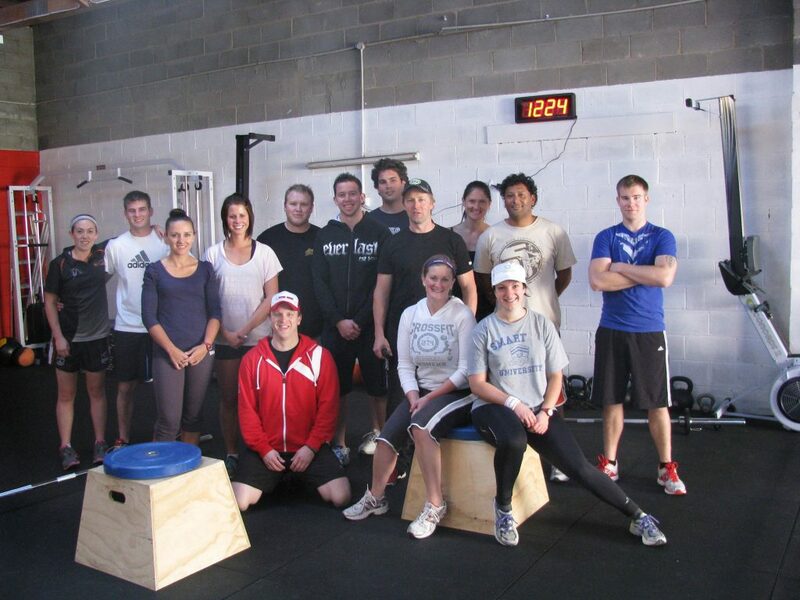 A strong sense of community keeps staff and clients coming back to Jim’s fitness business. Fixing himself meant prioritizing his own training–physical and mental. He’d scheduled time for his own workouts and stuck to it–not allowing himself to get distracted. “I had to look after myself,” said Jim. “I need someone to report to occasionally,” said Jim. The plan could easily slide without regular coaching. 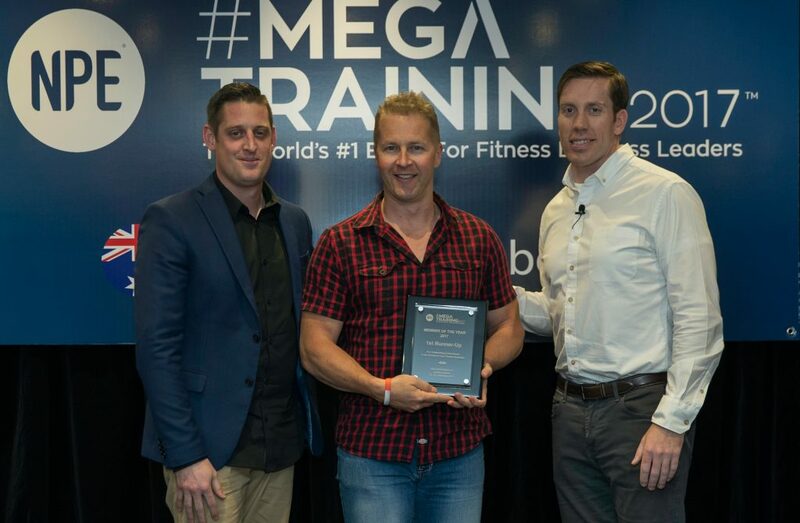 He also prioritized live events such as NPE’s group training workshops, so he could get out from the gym to renew himself and learn what other successful fitness business owners were doing. Growing more slowly, but steadily to contain costs and maintain profitability. Jim didn’t have to shut down his fitness business, or give up his dreams to create a community that both clients and employees would love. His health and fitness is also much better than it’s ever been. 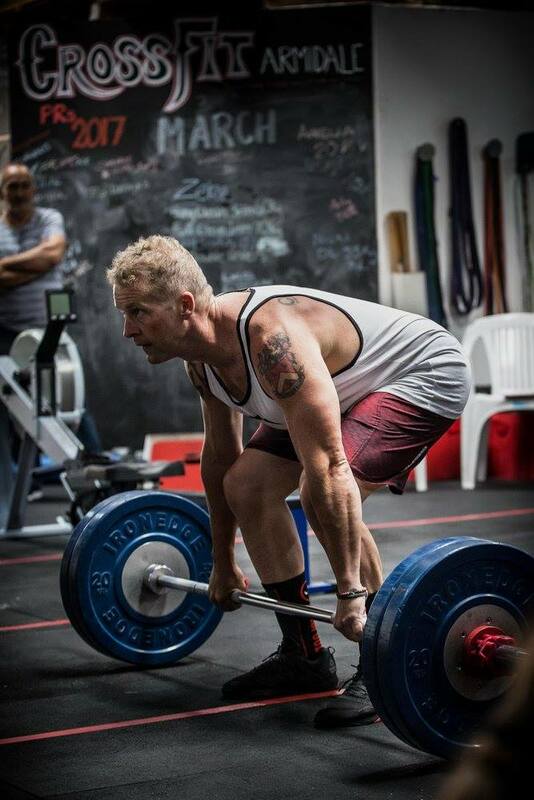 “I am the 158th fittest 40-to-45-year-old in Australia,” Jim jokes, referring to his position in CrossFit competitions. After steady progress throughout 2014 and 2015, he’d cleared the debt, and made the steady changes beneath the surface. Jim’s story inspired his fellow fitness business owners to vote him 2017 Client of the Year Runner-Up for the Asia-Pacific region. Starting in late 2016 and through 2017, his fitness business has once again experienced strong growth. He’s gone from 52 clients to more than 100 clients. He’s doubled the size of his facility. His annual revenues have jumped to $203k and on pace for $220k, with 15% net profit. His clients are engaged as well, and he’s forming the community he wanted–from things such as prizing his studio’s t-shirts to enthusiastic participation in charity events. Most important, Jim’s getting more time with his family.